A reader recently asked me what my thoughts were on IRAs. Last year, I liquidated all of my IRA positions, paid the tax and re-invested the money into physical gold and silver, which now resides in the Brinks vault in Montreal through the Miles Franklin Precious Metal Storage Program. It is obvious that our current leadership is bent on raising taxes, so even though gains in an IRA are “tax-deferred,” if we are faced with a higher tax rate when we do liquidate, the advantage of deferred taxes is partially neutralized. After the Cyprus experience, can anyone state that they feel 100% certain that their money in a bank or government-sponsored savings plan is off limits? I don’t. In the next few years, our “official” National Debt will top $20 trillion. Where will the money come from to slow down the train wreck? Look how difficult it is for Congress to implement meaningful spending cuts. At best, they argue over slowing down future debt GROWTH. It’s not about cutting anything, it’s about slowing down the debt growth. This is a horrible policy! Like it or not, it all boils down to higher taxes, much higher taxes for the “rich.” And it won’t be just at the Federal level – the same thing is happening at the State level, particularly if you are “rich,” which, by Minnesota standards means you earn over $250,000/year. 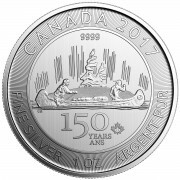 The key point is to take possession of your physical gold and silver when you close out your IRA. You want to be on board for the coming gains, which should be beyond your wildest estimates. Your IRA distributions will be taxed as ordinary income, and that rate is going up. Once in your possession, the gains will be taxed at a lower rate, the “collectable” rate, which is considerably less than the ordinary income rate. I am not an accountant and please don’t take my word on this – speak to your accountant, but that is the conclusion I came to and acted accordingly. Ranting Andy Hoffman and Andy Schectman also came to the same conclusion and closed out their IRAs and went 100% to physical precious metals, stored in Montreal. 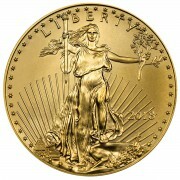 That puts our gold and silver out of harm’s way and as safe as we know how to position our most precious assets. I discussed this with Ranting Andy and he wanted me to mention that another issue to consider is the possibility of a government-takeover of IRAs. He sent me two articles (from January and February of this year) that discusses this topic. Bloomberg has reported that the US Consumer Financial Protection Bureau is considering taking a role in managing the $19.4 Trillion in American’s retirement accounts. Yes, you read that correctly, the government agency created in 2010 as part of Dodd-Frank is weighing ‘helping’ Americans manage their retirement funds…naturally by protecting them with the safety and security of Treasury bonds. As we have been warning readers for nearly 2 years here at SD, the coming risk of confiscation is not in your gold and silver investments (the American public has nothing to confiscate), but in your pension, 401k, and IRA retirement funds through forced allocations of US Treasury paper. Those who are unwilling to take the tax hit and get out of Dodge in time will likely soon find themselves directly funding the US Ponzi scheme through their retirement funds. Retirement funds in the US account for nearly $20 trillion in available capital for the banksters and politicians to grab without needing to us any force whatsoever. “That’s one of the things we’ve been exploring and are interested in in terms of whether and what authority we have,” bureau director Richard Cordray said in an interview. He didn’t provide additional details. The retirement savings business in the U.S. is dominated by a group of companies that handle record keeping and management of investments in tax-advantaged vehicles like 401(k) plans and individual retirement accounts. The group includes Fidelity Investments, JPMorgan Chase & Co. (JPM), Charles Schwab Corp. (SCHW) and T. Rowe Price Group Inc. (TROW) Americans held $19.4 trillion in retirement assets as of Sept. 30, 2012, according to the Investment Company Institute, an industry association; about $3.5 trillion of that was in 401(k) plans. The Securities and Exchange Commission and the Department of Labor are the main regulators of U.S. retirement savings vehicles and funds. However, the consumer bureau — established by the 2010 Dodd-Frank Act — sees itself as a potential catalyst for promoting a coherent policy across the government, the people said. NEW YORK — JPMorgan Chase & Co. has won the dismissal of a nationwide investors’ lawsuit accusing the largest U.S. bank of conspiring to drive down silver prices. David R has ALWAYS maintained that JPMorgan would never be found guilty of a crime because they are not doing anything wrong. He says the bullion banks are cutting back on and in some cases even shutting down their bullion desks. Their “gold desk” is struggling to make any money due to the massive market manipulation by the HEDGE FUNDS. He is referring to the front-running algo driven computers in Chicago, programmed by dozens of MIT geniuses. They are innocent because it’s simple arbitrage being financed by your tax dollars; the position is flat, but selling high (futures) and buying low (physical) is a beautiful thing. Actually, Jim Sinclair also says it’s the HEDGE FUNDS that are behind this (for example, see his quote in the above section), so Trader David R’s position is no different from Jim Sinclair’s. I don’t hear anyone putting Sinclair down for saying the same thing! There are many people whose opinions I cherish, including Andy Hoffman, Bill Murphy, Bix Weir and Ted Butler who disagree with Trader David R. But I try and keep an open mind to both sides of this topic, and since there is absolutely no doubt in my mind that manipulation is a fact of life, I don’t lose any sleep over WHOM the guilty party is. One thing seems certain – if JPMorgan is involved, especially in the silver end of it, and they take a huge hit on their mammoth short position, the US Government will come to their rescue. They are thrilled to see gold and silver capped, because that helps with the illusion that the dollar and the bond market are still safe and inflation is under control. If you believe this MSM “Mope,” (management of perspective economics) you will live to regret your mistaken judgment. I would like to bet David R he will be proven wrong about JP Morgan and their role in the silver manipulation. 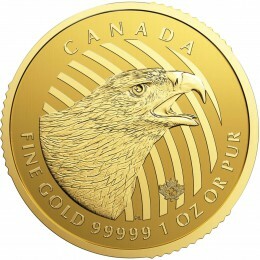 I will put up 500 silver eagles if he will do the same given to Miles Franklin to be put in the Brinks vault storage. I bet JP Morgan will be proven to have a hand in the silver manipulation within 3 years or less. 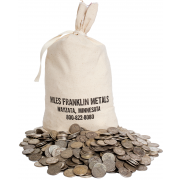 Winner take all and Miles Franklin distribute the silver eagles.